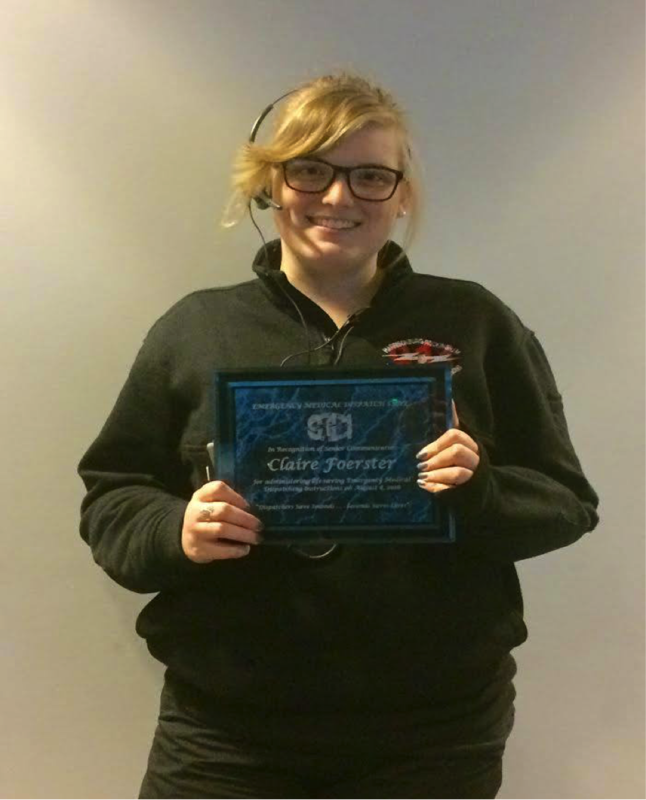 Please join the staff of the HRECC in congratulating Senior Communicator Claire Foerster. On August 7, 2016 Claire received a 9-1-1 call from a person reporting that a victim was unresponsive and not breathing. She assisted the caller in administering CPR and when responders arrived on location, the patient had a pulse and was transported to Sentara RMH. “The HRECC is committed to serving the community in the best manner possible and training our personnel on the administration of pre-arrival medical instructions makes a huge impact in many cases,” said Dee Dee Sencindiver, Operations Manager. “Some 9-1-1 Centers don’t offer emergency medical dispatching because of the large amount of time and training,” added Jim Junkins, HRECC Director. “Our desire to serve our community, and dedication to saving lives, far outweighs the time and training needed,” added Junkins. Thanks to Claire for her efforts on this date!